Lyda is an innovator & a visionary, a freelance trainer with an apt for crazy ideas and unique projects. She studied Agriculure in the Aristotle University of Thessaloniki but non-formal education won her heart. Since the summer of 2012 when she got certified as a Soft-Skills Trainer, Lyda has been working with many NGOs around Europe, designing training programs for their participants. She has over 500h of experience as a Soft-skills Trainer. 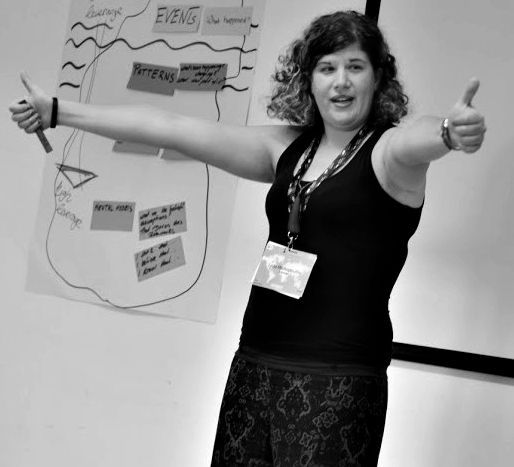 Her work is about designing interactive, playful training events by mixing Art of Hosting methods, Appreciative Inquiry and NLP elements with experiential learning and evidence-based learning. She is a Life & Career Coach and Facilitator. Her expertise is in personal change, organizational management, training new trainers and leadership.